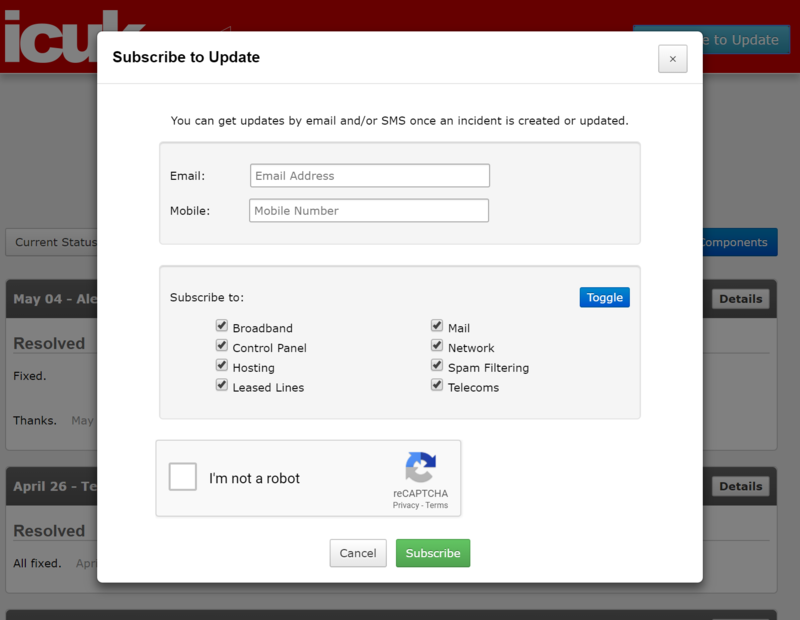 NOTE: Contact details you have entered into the former service status page are not automatically subscribed to this new feed. 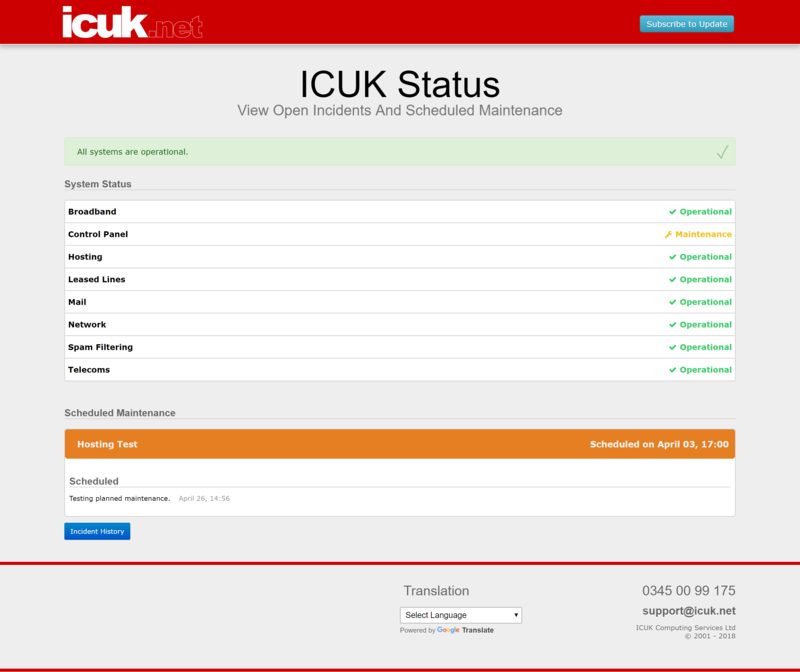 Please ensure you take the time to visit www.interstatus.co.uk and subscribe. NOTE: This does not impact monitoring and alerts for leased lines, they continue as they are. SSL certificates are a cost-effective solution for customers who simply need a basic SSL certificate, and aren't fussed about the technicalities and differences between the options. Prices start from £27 per annum for resellers, which for the next month we're lowering to £17 per annum for the first year (offer ends 31st August 2018). Ordering a Standard SSL is the same process as you would a Professional SSL, including the domain validation process. Our Professional certificates remain the ultimate solution for clients who want a premium SSL solution coupled with a dedicated IPv4 address to aid SEO performance. We are lowering with immediate effect the charges for these. They now start at £75+VAT per annum for registrations and renewals. 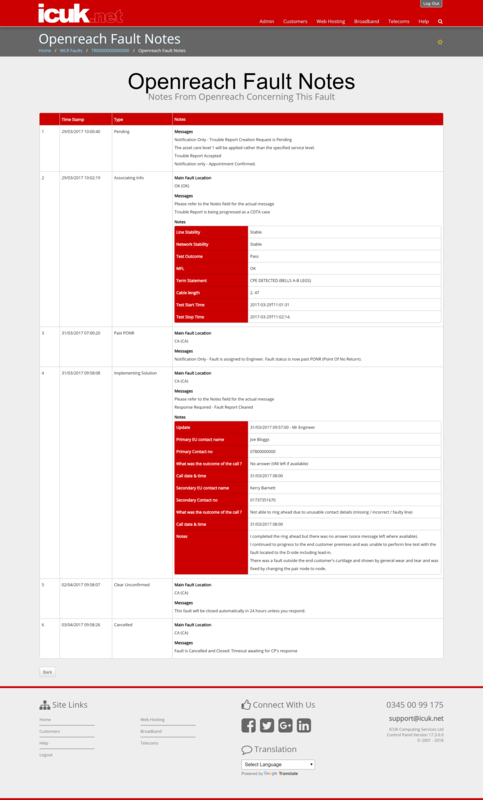 Additional information and notes, including engineer notes, are presented in tabular form, as opposed to the block of text which Openreach supply it to us in. This will significantly aid understanding. We look forward to applying similar engineering note improvements to the order journey experience, we are simply awaiting new Openreach API updates to make this achievable. 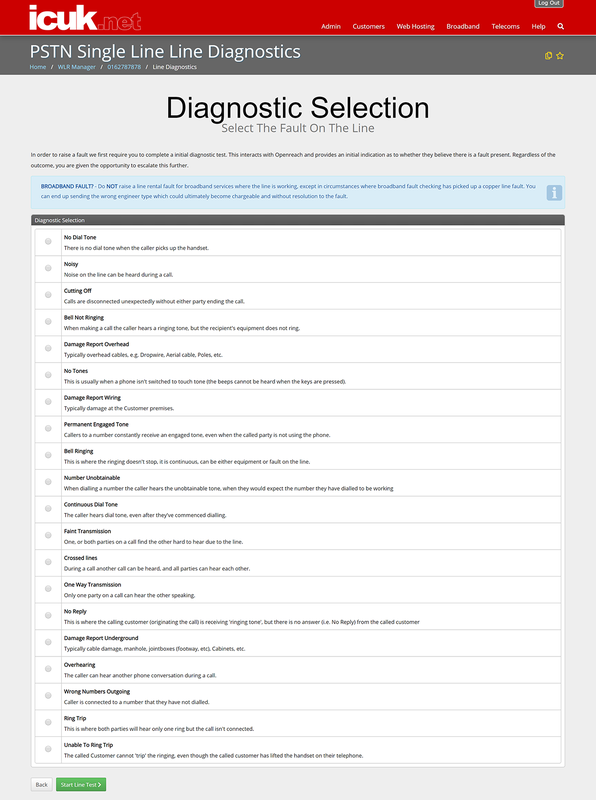 The broadband checker is at the heart of the broadband ordering experience. As a reseller, you need to know the availability of technologies, likely speeds and carriers. We have completed a revamp of our checker design to simplify availability, as well as cater for an extended range of new products. You can think of G.Fast as a superfast FTTC as it's delivered over your existing copper lines. Availability requires FTTC to be available to the cabinet, as it makes use of the existing fibre delivery. In addition, a short physical line to the cabinet (maximum line length being 250 meters currently) is required. FTTC availability alone doesn't mean you can now receive G.Fast, the cabinet itself must receive an upgrade, often resulting in a modular additional extension being added to side of it. As a result of new equipment being installed to the cabinet, the footprint for G.Fast remains limited, which Openreach intend to increase coverage significantly over the next 12 months. Currently the economics of delivery prevent us from offering a Market A version, should this change we will let you know. The setup charge covers the cost of a managed install. An engineer will visit the premises and supply an Openreach modem as part of this visit. This is exactly how FTTC used to be delivered prior to switching to self-install. We expect to see self-install G.Fast options in due course. The customer needs a router, which will support the username authentication aspect, and must be capable of supporting speeds in excess of 100Mb otherwise it will become a bottleneck. We can currently deliver G.Fast either as a new provision on a suitable PSTN line, or as part of a technology change migration. We cannot deliver this as part of a simultaneous provision. We have updated our API to allowing G.Fast orders to be placed. We have a wider range of FTTP products available to both Market A and Market B areas. Subscription charges are our wholesale costs to yourself, exclusive of VAT. Prices below are correct at time of ordering, please refer to the wholesale pricing page for the very latest prices applied to your account. 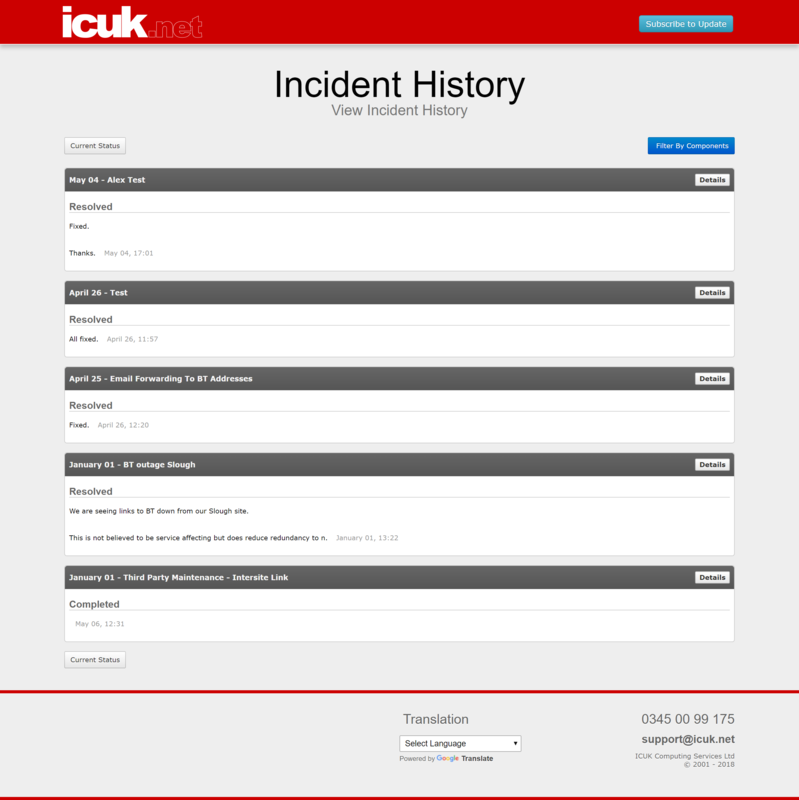 To be eligible for the transition line pricing, you must have an ICUK supplied PSTN line in the premises. This must remain active for the duration of the FTTP contract. The pricing is applicable when there is either no existing Openreach copper based PSTN line in the premises, or you are not in a position to transfer this to ICUK's control. Our broadband checker clearly states the market classification for a line or address. Market A addresses are where BT continue to operate a monopoly or majority market force. In this instance Ofcom regulate the price, setting it high. Market B locations are where there are multiple alternative carriers to BT Wholesale, and price is allowed to be more competitive. It is hoped that market A can be eradicated soon, but it's dependent on Ofcom making such a ruling. FTTP orders carry a setup charge and minimum 12 month contract period. They are subject to potential Excess Construction Charges (ECC) which need acceptance prior to work commencing. CAUTION: Whilst availability will show across a large portion of the country, caution should be made to whether this is the most cost-effective solution. It should not be treated like other broadband connections, owing to the high delivery costs and bespoke delivery process which can take many months in some instances to deliver. Desktop survey requested with the carrier. This is completed free of charge. Allow up to 7 days for this to complete. Assuming no immediate challenges are disclosed, and the desktop ECC estimates are reasonable, a survey engineer will be requested. If desktop ECC estimates are high we will ask you if you wish to proceed. This is chargeable regardless of the outcome at £250+VAT. ECC charges may be identified. You can choose to accept or decline the order at this point. ECC charges must be accepted paid in advanced of works starting. ECC costs can be lowered if multiple FTTPoD orders are linked at the same time (e.g. multiple orders to the same dwelling or close neighbours). Currently, Openreach lower ECC costs by £700 per additional dwelling. All FTTPoD orders are subject to a fixed setup charge of £495 which is in addition to any ECC. Depending on challenges of install we have been advised to expect engineering works to be completed within 3-12 months. Much the same as a leased line, we are unable to provide in advance confirmation of just how long they may take. We have updated our API to allowing FTTPoD orders to be placed. 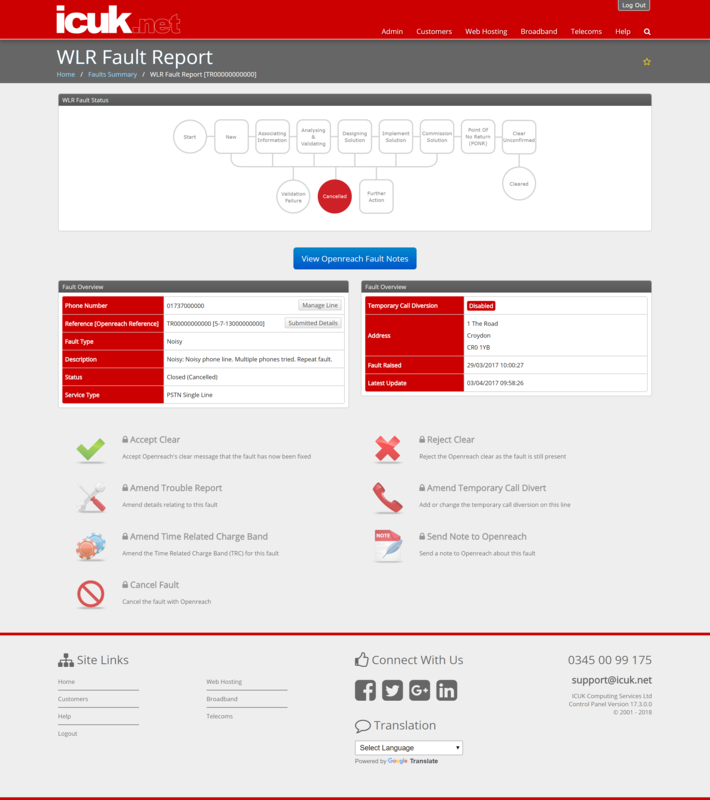 For the purpose of audits, legal obligations, backdated billing, and assisting in providing explanations after the event, we have not provided a 'delete' facility on line rental and leased line products. We appreciate that for resellers with large estates this can make for a messy list of orders. To aid the situation we have provided an archive feature which appears alongside orders in a suitable status for archiving. For example, if a line rental has ceased, rejected or migrated away, an icon to archive () appears next to that line. Selecting to archive a line means it will no longer appear in any of the tabs other than the new archive tab on this page. This can be undone by selecting the icon next to the archived order (). This should reduce clutter on the key tabs you reference the most without deleting data to aid future visibility. To date, we have only provided free line rental installation on TalkTalk ADSL and FTTC based simultaneous provisions. We have added a new range of BT Wholesale products and are able to extend the order. You simply need to place a new WLR order, select a simultaneous broadband order, and choose an ADSL or FTTC unlimited connection on a 12-month contract with either TalkTalk or BT Wholesale to be eligible. The WLR installation charge (excluding TRC) will be zero-rated on your bill. We have removed the 'FTTC?' tab which was previously available. This simply highlighted connections with an FTTC upgrade path. We have renamed the tab 'Upgrade?' and the results now highlight FTTC, G.Fast and FTTP upgrade paths. We aim to run quarterly checks against our estate to reveal any changes. 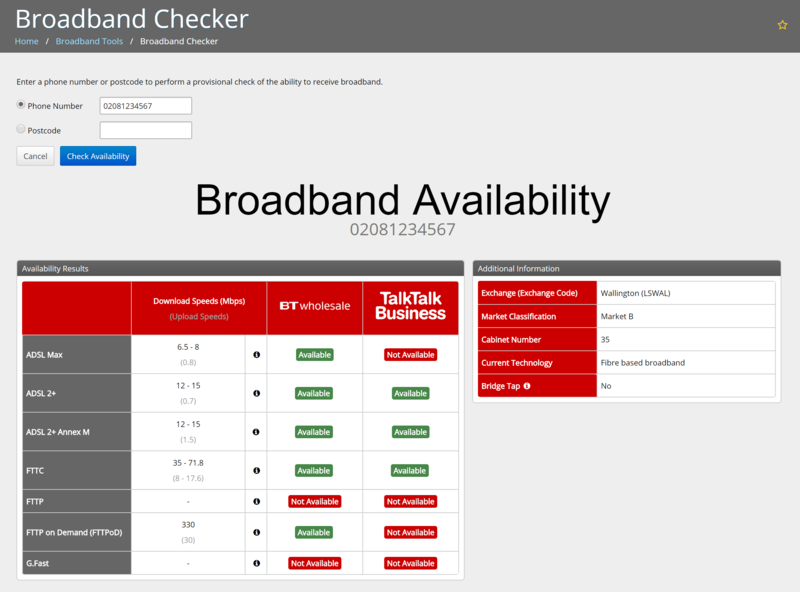 Before completing an upgrade please make use of the broadband checker to confirm live availability and predicted speeds. To proceed with an upgrade to FTTC or G.Fast simply follow the modify path when managing a circuit. 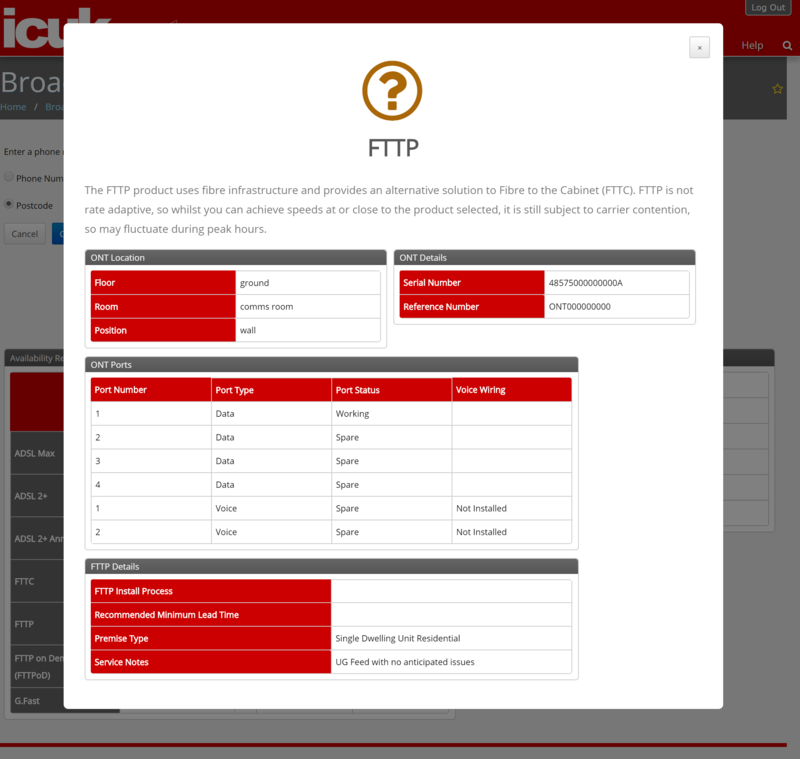 For FTTP orders, there are no upgrade paths, instead you would need to place a new order, and cancel the older copper connection when you're ready.